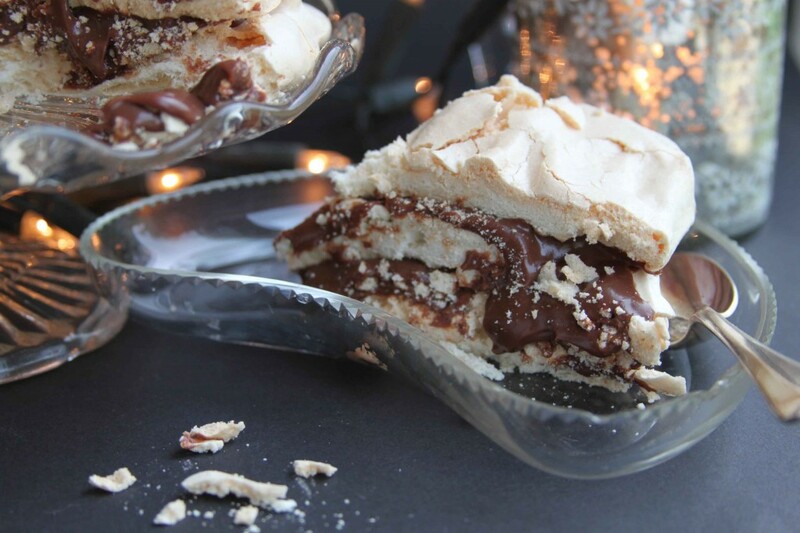 This entry was posted in Cakes, Food, Puddings and tagged Chocolate, cream, meringue by Anna. Bookmark the permalink. I can certainly confirm it goes very well with a cup of tea – coffee would probably be even better! Looks completely yummy Anna. How beautiful on your lovely glass stand/serving dishes with candles too. I know what you mean, trying to support everyone in all sports! 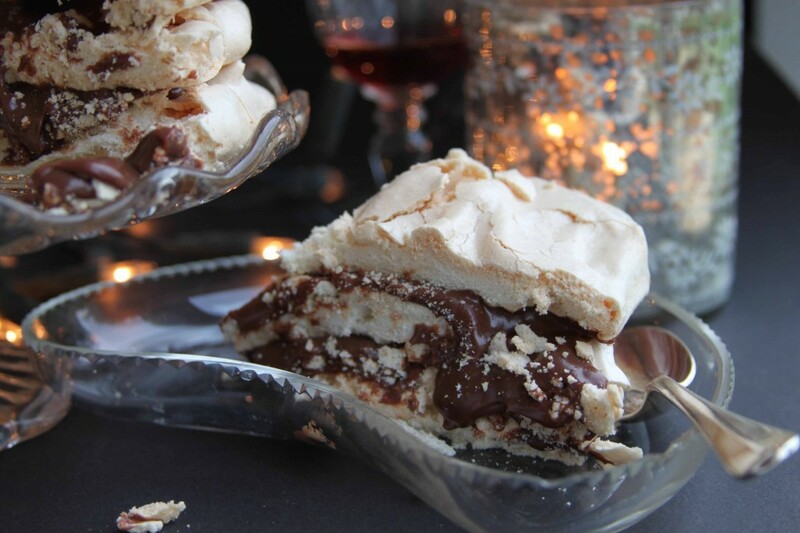 I don’t like rugby but I do love meringue and chocolate so this looks right up my street! Delicious. Wow — this looks so good! Ive never made meringue before, but am inspired to give it a try! This really is super easy, let me know if you give it a go! Chocolat ganache with meringue is heavenly, wish raspberries were still in season to go with this! Good idea Laura – I’ll remember the raspberries next year! 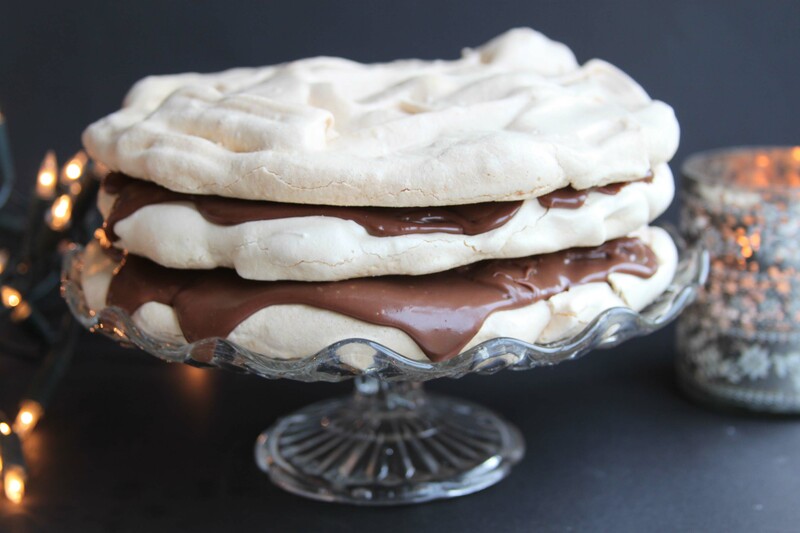 Oh yes – 1995 and 2007 were good years for South African rugby fans and we still reminisce about the good old days 🙂 I love the look of this dessert and I also didn’t know that you could freeze meringue. Good to know. Ah thanks Erin, really kind!